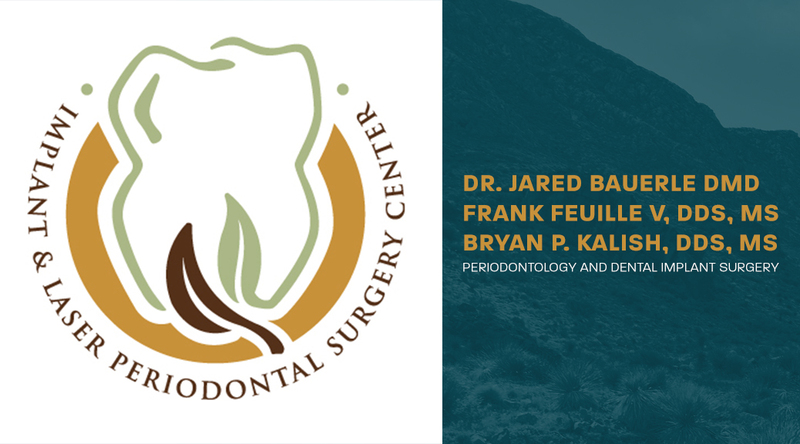 Implant & Laser Periodontal Surgery Center specializes in dental implants and dental surgery in El Paso and Las Cruces. Having two separate websites was important to them for scheduling appointments, displaying services and hosting applicable resources for each location. Our easy-to-use content management system was the perfect fit to easily manage both locations. Our Content Management System (CMS) is always custom-coded to fit our clients’ needs. The content management system for Implant & Laser was built to manage both websites with one login. Site administrators are assigned a username and password and given permissions to access a few or all of the modules in the CMS. From banners on the homepage to subpages on one or both sites, content can be changed simultaneously with ease. Modules give the admin options to show an element in the Las Cruces, El Paso or both websites where applicable. Submissions from Contact Us form and Appointment Requests send notifications to designated individuals within each office. They are also stored in the CMS for follow up and archiving. Managing homepage banners is done in four easy steps: prep your image, log into the admin, upload your image and fill out the required fields. Specifications for the banner dimensions are located in this module for easy reference. The Pages module contains most of the content for the main navigation and subpages for both sites. The dashboard editor for each editor resembles many of the same functions as Word. The separation of locations is clearly visible so admins can blast through without a problem. Staff members are sorted by location and are easily manageable to add, edit, and delete as necessary. Specifications for headshot dimensions and fields for Name, Title and Bio are accessible through this module. The Testimonial module incorporates Google Reviews that display on the live site. Users also have direct access to their CMS manual, their Stanton Street HelpDesk, or an option to visit the live site. We’ve also included a live chat function to assist users if they have an issue with a module or need help updating their website. Aside from upgrading their CMS, Implant & Laser was overdue for a redesign. Their old site was programmed over five years ago and didn’t resize to fit various screens. Back then it wasn’t a requirement by Google, today it is. Following the main image are quick links to view doctor bios and services, a quick intro to the practice and actual Google reviews from patients – past and present. In the footer, potential and current patients can submit a contact form, locate the office via Google Maps, view the office hours and links to review the location on Google or access their Facebook page. Subpages contain information on Services, doctor bios and patient resources such as pre/post care and insurance information. Implant & Laser Periodontal Surgery Center has been a client of ours for over six years. We look forward to keeping their sites up-to-date and giving them the customized solutions they need to help their business grow. Do you need a customized and easy-to-use CMS to manage your website? Give us a call at (915) 351-8440 to find out what we can do for you!